The world of sports is highly competitive in every regard. For players to have the best equipment is almost a requirement when they are training. Some of the most intense sports disciplines in the world use plastic elements to help players cover and protect sensible parts of their bodies. The athletes in disciplines such as American football, hockey, and soccer need the type of protection that only a solid plastic injection molding manufacturer can provide. If you happen to be in the business of selling sporting goods or have a good idea for new piece equipment, you probably want it to succeed. Just as a visionary back in 1877 created shoulder pad in Princeton to play rugby protected, you can come up with a new idea that can be the next big hit in the sports industry. The sporting goods industry keeps expanding every year. There is a lot of demand for the next best thing that can improve the performance of athletes. These guys and girls are always asking for stronger and lighter equipment. Even old classics keep being reinterpreted by newcomers with new features or new materials to make them lighter, such as the inverted cup that was invented in 1897. The original purpose of this piece was to protect men riding bikes. These days are used in a lot of disciplines to protect men sensitive bits in quite a few disciplines, but most prominently in baseball. 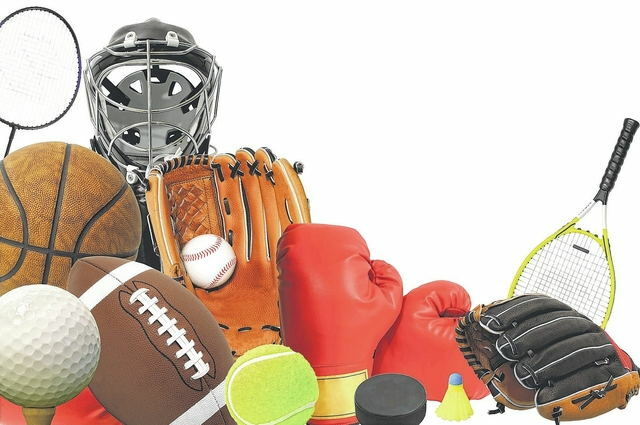 The good thing about sports goods is that they are used by kids and adults alike, in the most diverse disciplines, from little baseball leagues to professional skydivers. Most of the modern equipment used by these guys is manufactured using modern plastic molding manufacturing. Why dabble on this point? Simple, because you don’t necessarily have to invent something new to make it big. Most of the sports equipment is free of trademark or copyright unless it’s a very specific design, and you can manage to do that on your own to brand your unique take as something that is entirely your interpretation of a functional sports piece. Just take a moment to explore crowdfunding platforms and see how many people are looking to finance brand new takes on existing designs by making improved versions of them. Even if your hot take it’s not aimed at professionals it could be used by sports enthusiasts, and there are millions of them out there. In a race to come up with something new we can’t take the luxury of offering a lousy product. While crowdfunding is always a great idea, the best approach would be to self-finance the first shipping of project. The good news for you is that plastic molding companies are willing to work with you, even if you are crafting a low production run. One of the worst kept secrets in the sports good manufacturing industry is the fact that improving an existing design to make it lighter while being still resistant enough to protect the athlete will take you really far. That’s why Kevlar turned out to be so popular among the kinds who practice paintball. This is such a powerful selling point because many athletes can feel the change of weight on their equipment, even if it’s just a few grams. Being light is what brings victory for many of them, such as it happens in disciplines like tennis or marathons. By moving to lightweight materials and improving designs, we make the most significant difference. Carbon fiber and plastics have taken a hold on many disciplines for this particular reason. Some of the most noticeable examples are the bikes used by cyclists in the Tour de France. Almost fifteen years ago the average weight of these bikes was of 20 pounds. This day, thanks in no small part to engineering, the current bikes weigh about 15 pounds. The same thing happen with the pads in football and hockey. If you don’t practice a discipline that demands you to carry the additional weight you probably can’t understand why these extra pounds are a big deal. We already mentioned how many of these devices are continually repurposed. This means that even if you are not a committed athlete, you can create new equipment with a standard focus on something that is akin or related to the original use. If we dial back a moment to our example of the use of Kevlar on paintball, this is standard issue these days, but Kevlar has been military equipment for quite some time now. It all boils down to having a good idea and some financing to give it a go. If you have an idea that can help an athlete perform better don’t let it go to waste! Your plastic injection molding manufacturer enables you to create your product at very low costs using automaton procedures and robotics to make your brand new items something to stand out from the rest.